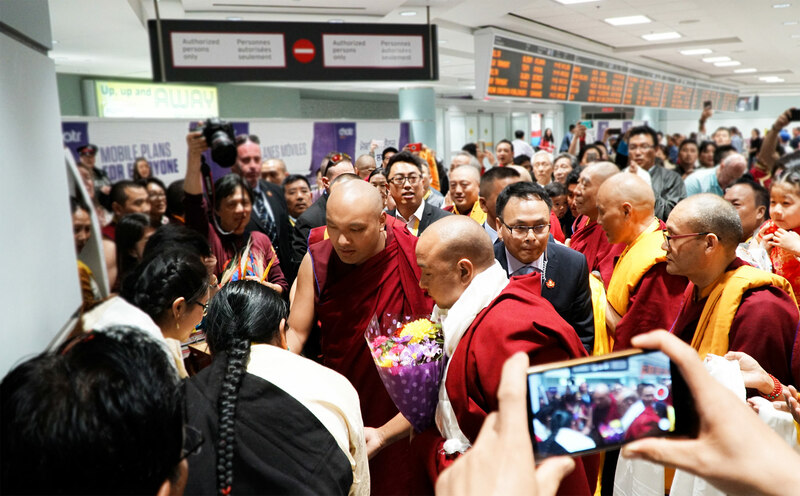 After a very successful visit to the United Kingdom, His Holiness the 17th Gyalwang Karmapa, Ogyen Trinley Dorje, arrived early afternoon for his first ever visit to Canada. He was welcomed at the Toronto airport by members of the Karma Kagyu Association of Canada (KKAC) and numerous devotees, who displayed a colorful bilingual banner with the KKAC insignia, ¨Karmapa, Welcome to Canada.¨ As he walked slowly past a long line of devotees offering white katas, the Karmapa smiled warmly at everyone. Still looking delighted, he arrived at his hotel where an official reception followed that included over one hundred guests. Dungse Lama Pema began with a welcome speech thanking His Holiness for accepting the invitation to come to Canada, and his staff members for working so hard to make this visit possible. Lama Tenzin Dakpa and several members of the legislature followed with short speeches to express their joy and gratitude. A welcoming Tibetan ceremony was presented by a group of Tibetans in traditional dress, who offered saffron rice and tea, customary in welcoming important guests. After the ceremony, His Holiness spoke briefly, relating his appreciation to the organizers who made tremendous efforts to make this visit happen and he shared his wish to come again in the future. On the day after his arrival, the Karmapa was invited to the Legislative Assembly of Ontario in Queen’s Park. At 8:30 am on May 30, 2017, the Gyalwang Karmapa was warmly welcomed to a breakfast buffet with members of the legislative assembly in the parliament building and several members made welcoming speeches. They thanked His Holiness for his visit and discussed with him issues regarding the environment. During his month long trip to Canada, the Karmapa will spend time in Toronto, Montreal, Ottawa, Edmonton, Calgary and Vancouver. 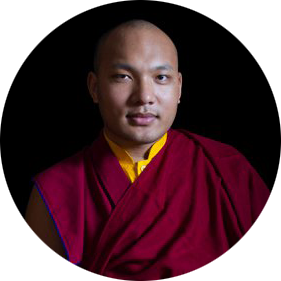 In doing so, he is following in the footsteps of his predecessor the 16th Karmapa, who travelled extensively throughout the country and was instrumental in introducing Canadians to Buddhism in the 1970s.